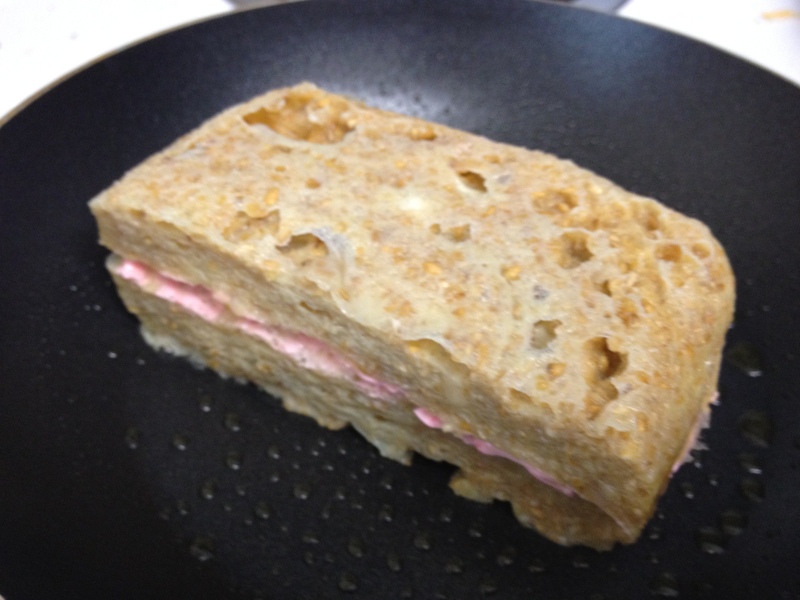 Cut bread into about 4 squares. Dissolve jello lite mix in 1/2 tbs of hot water. 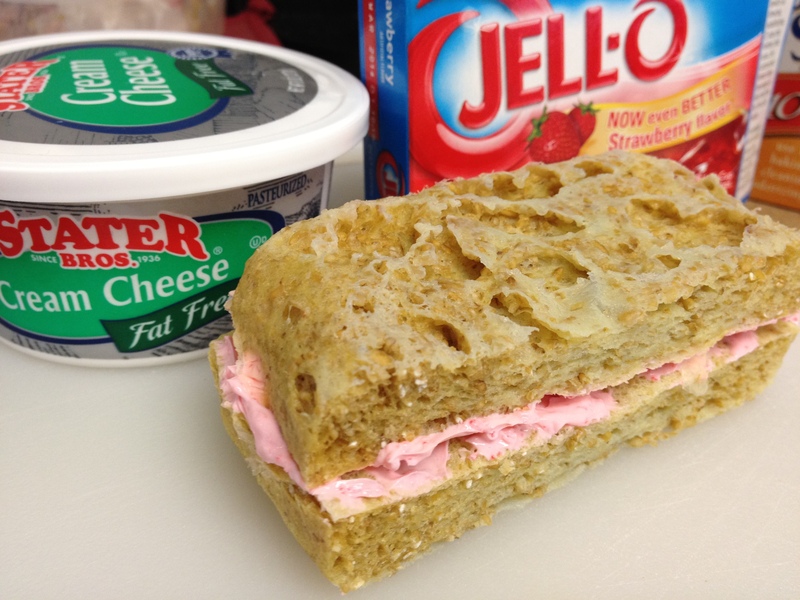 Add jello water to cream cheese & mix well. 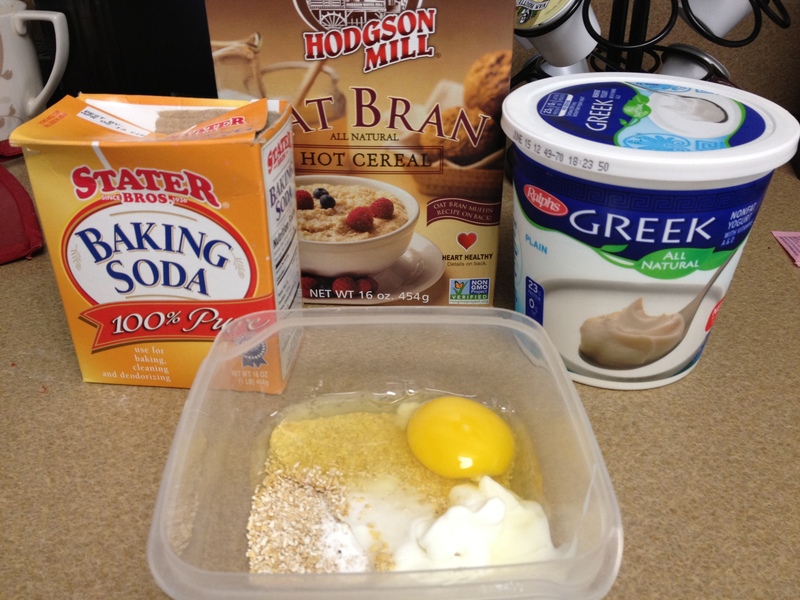 Whisk all egg mixture ingredients together in a bowl. 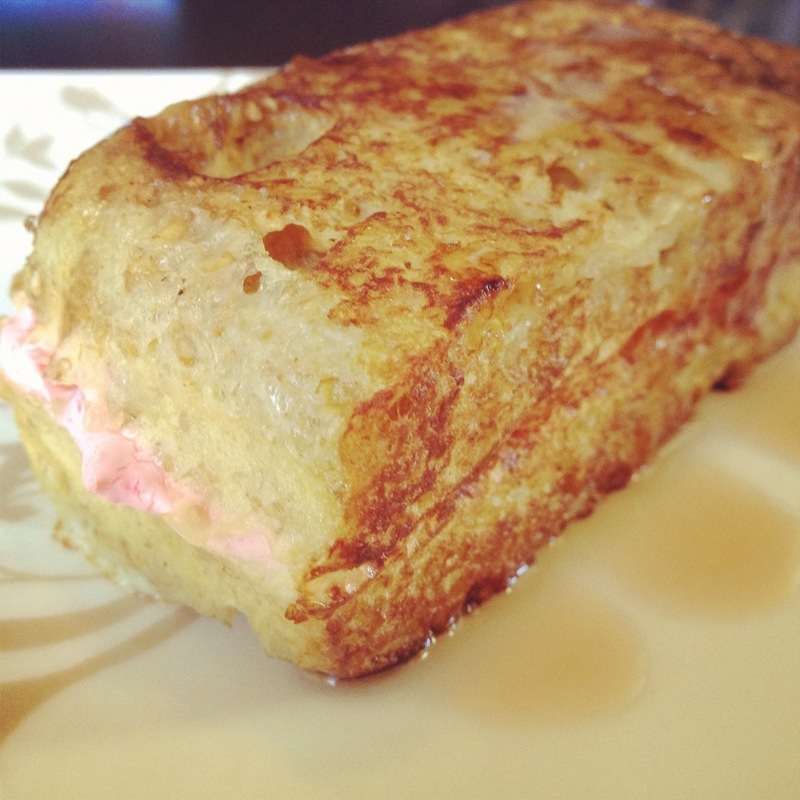 Spread strawberry cream cheese on each slice of bread. 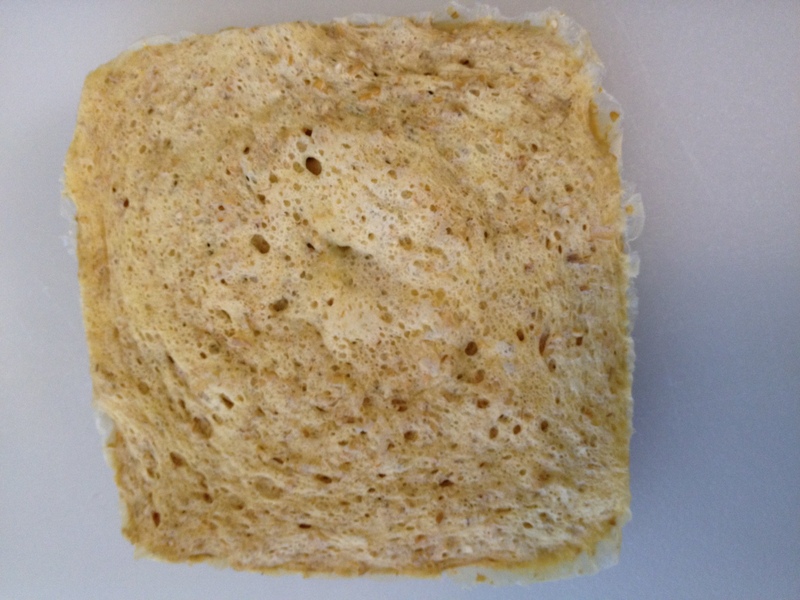 Dip sandwiches in egg mixture, coat all sides. Brown in pan on both sides. Just made these. I sliced the bred into squares per recipe and sliced the squares in half but did not use the filling. Also, added a pinch of nutmeg to the milk batter. I left bread in batter for a few minutes turning it around every so often to make sure batter really soaked in. Served with FF/sugar free maple syrup. Came out really good. It’s a keeper!